You will be picked up at Chandigarh Airport, railway station or your preferred location in Chandigarh by one of our representatives. Do not fall asleep during the trip from Chandigarh to Dalhousie as the drive is breathtaking and mesmerizing. On arrival, our representative will assist you in the hotel check-in. After that, you can freshen up and set out on your own to explore the city at your own leisure. Return for a wholesome dinner and sleep at your hotel. After yet another meal that is included in the package, you will be taken to Khajjiar, which is often called as mini Switzerland. This quaint little town has everything from forests, lakes and pastures and will transport you into a different world altogether. Spend the day at Khajjiar enjoying the natural beauty and picturesque landscape of the town and head back to Dalhousie for the night. Have a filling breakfast at the hotel and then set out for local sightseeing of Dalhousie. You will get to see top attractions such as Panch Pulla, Satdhara Falls, Kalatop Wildlife Sanctuary, St John’s Church and many more places. Your stay at Dalhousie ends on day four. After a breakfast at your hotel you will be driven back to Chandigarh and dropped at your preferred drop point. Your Dalhousie tourism package ends here. From sumptuous food, to exotic locales, Dalhousie has so many surprises awaiting for you to explore. This beautiful hill station is located in the district of Chamba at a breathtaking elevation of around 2000 meters. 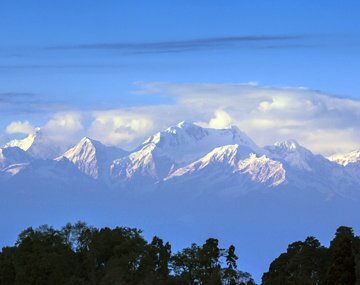 Dalhousie is surrounded by snowcapped mountains and spans over an area of 14 sq km. This enchanting holiday destination is framed by the River Ravi that flows down by the base of the town. If you are on the lookout to book a getaway with your beloved, we suggest you to zero in on a Dalhousie honeymoon package. If you are on the lookout for a Dalhousie tour package, you have hit the right page. We offer some of the best Dalhousie Khajjiar tour packages that money can buy. Simply book one of our holiday packages for Dalhousie, and leave all the planning to us. We will book your accommodation, take care of your meals, and take you around to enjoy the sights and sounds of Dalhousie and Khajjiar. Personal expenses like laundry, telephones calls made from the hotel, or food aside from what is included in the package are not covered. The view of the landscape is unforgettable and I enjoyed in the Waterfall. Dance in the Waterfall was very nice . Its a beautiful place.